I was wondering if there was a type of speaker we can use with our laptops, computers radios etc? My tinnitus and Hyperacusis has calmed down quite a bit now and I wanted to give it a go. Any suggestions or ideas thatve worked would be wonderful. You can try the "Bose® Soundlink Bluetooth Speaker III". I also use the "Creative® T3300 Sub-Woofer Speaker System" to augment the low/bass end. Both these systems are discontinued by the manufacturer, but you can still find some great used or even "NEW & UNOPENED" units on either Amazon or eBay. Both systems have served me very well. In the pictures below, shows how I have these units set up to my Dell laptop computer system along with a "Boss® Parametric Equalizer EQ1208" to better notch in and out frequencies that may or may not be desirable. 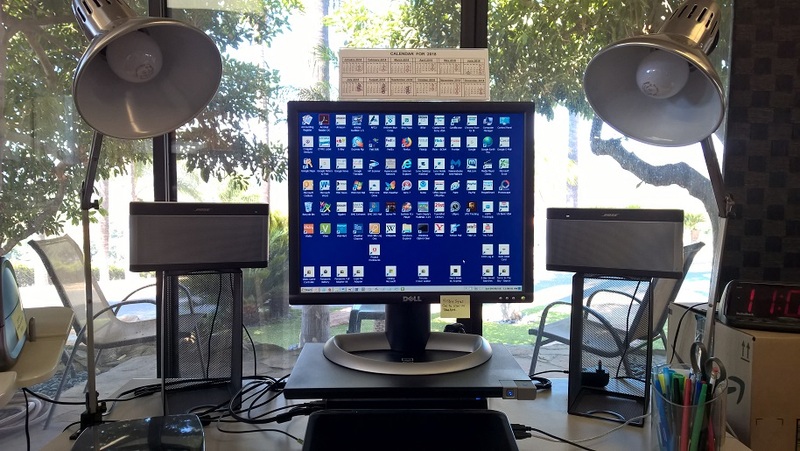 This first photo just shows the "Bose® Soundlink Bluetooth Speaker III" system. 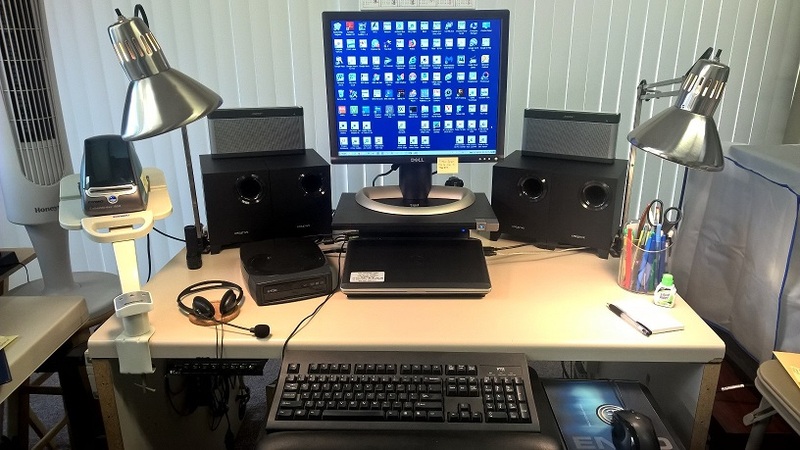 This second photo shows both the "Bose® Soundlink Bluetooth Speaker III" along with the addition of the "Creative® T3300 Sub-Woofer Speaker System" and the "Boss® Parametric Equalizer EQ1208" attached to the very far left undercarraige of the Dell laptop workstation table. 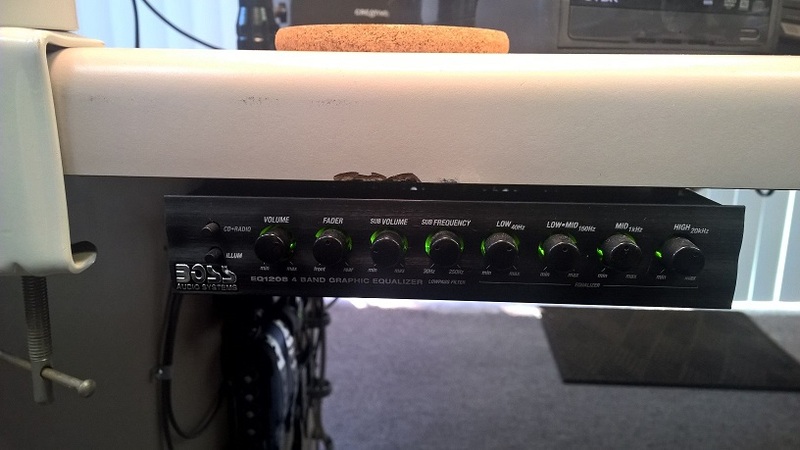 This is the "Boss® Parametric Equalizer EQ1208", close up. I will be honest, it takes alot of forethought, planning and electronic prowess to wire up all these units together in series, in order for them to operate in synchronization, but it is possible. Hyperacusis may not be easy to live with, for many of us, it is quite difficult, but as a sound and live P.A. reinforcement engineer, radio broadcaster, mobile disc-jockey and audio producer for the past 35 years...and having Hyperacusis...for the past 6 years, I have been through MANY sound systems to better help me with this condition and have spent hundreds, if not, THOUSANDS of dollars in that endeavor; and this is what I found, that works. 100%??? No. But almost? YES!!! I also use Bose. I don't have an equalizer, though my Motorola phone came with a Doby equalizer app which helps with basic settings (taking down the highs to a tolerable level). I use the qc35 headphones most of the time. I have a Bose soundwear speaker that wraps around my neck, but I usually use the qc35 because I can block out other annoying sounds and just focus on the music or whatever I'm playing. Anthony is a real audio guy and knows his stuff so I hope some of his awesome setup can give you ideas. I have the JBL Charge 3 speaker (Bluetooth), however I find the way Bose processes audio works better for longer times of listening comfort. At this point I plan to stick with Bose all the way in the future, not because I think it produces the most accurate audiophile experience, but because for my listening pleasure it's simply always been the most comfortable. Expensive but comfortable... And as a musician, I'm willing to save and pay the price to listen again. Couldn't agree with you more about the laptop speakers - yikes! Even my MacBook, which has much better sound than my PC, is a trial for my ears. With this system and a Software EQ (all heights down) I can tolerate a movie and a about a hour of music. I place them on the floor, never in the height of the ears like Anthony does, this would be too much.